#DCATL19 is September 12 - 14, Save the Date! We have moved #DCATL19 a few months earlier than previous years, to September 12 - 14. We believe the move into September will allow attendees to experience some more outdoor activities with the warmer weather. 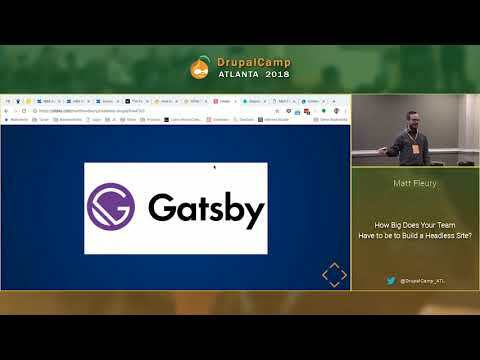 All session videos from the DrupalCamp Atlanta are available for viewing. Huge thanks to Utzu Logigan (@utzulogigan ) and his team for recording and editing all of our sessions. Enjoy and spread the word! * @DrupalConNA was amazing as usual - back to Georgia to start planning #DCATL2019. Be sure to follow @DrupalCampATL for regular updates.